My Favorite book that I received was MPire (In Search of the Lost) by TL James. Read my review of the book Here. There will be so many sites participating in the Gifting Books Giveaway Hop. There is a linky at the end of this post. After you've entered here, hop on over to the next blog on the list and keep going as long as you'd like! The more you enter, the more likely you are to win. Good luck! Enter to win a $15 Gift Certificate to All Romance E Books So you can pick your favorite Romance book. Contest ends on 12/27/12@ 11:59pm EST. Open worldwide. Once the giveaway has ended the winner will have 48 hours to respond to the winning email or an alternate winner will be chosen. See Rafflecopter for rules. Winner will be sent the Gift card via email. any book by jennifer ashley is instantly my fave! Any book by Sherrilyn Kenyon, J.R. Ward, Gena Showalter, Larissa Iona and Lara Adrian LOL. Can't choose just one. I have so many but immediately think of Nora Roberts/JD Robb, Stephanie Laurens but the entire list is very long! I have to many romance books that are my favorite. 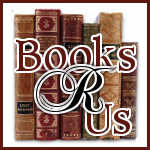 Many Avon Historical romance writers and many more from other publishers too. My favorite book/series is Diana Gabaldon's Outlander series! There are so many great m/m books, but Eden Winters' DIVERSION is the one I recommend most often. My favorite with a Christmas theme is RJ Scott's The Christmas Throwaway. Got it last year and just reread it last weekend. Drums of Autumn by Diana Gabaldon. Hello, thanks for the giveaway! I don't really have a favorite, but I'm a sucker for good romances. Always changing to whatever Im reading at the moment Ive never met a romance I didnt love .Currently its Blood Sweat and Demon Tears. I love anything by Eloisa James or Jennifer Ashley. Happy Holidays & thanks for the amazing giveaway! My all time favorite is The Secret by Julie Garwood. Anything by Nora Roberts, Cynthia Eden, Jennifer Ashley, Allyson James, Lisa Renee Jones or Donna Grant!! Ooh, I don't know if I can choose my favorite romance book! I just love so many! If forced to choose, I guess my favorite adult romance would be The Devil's Thief and my favorite YA romance would be the Soul Screamers series. ok that is like the hardest question ever.. I love sherrilyn kenyon, patricia briggs, cynthia eden, norma roberts, lisa renee jones, donna grant, christina dodd, emma holly... i read everything from historical to paranormal to erotica... If it is good i will read it if not i will try it. My favorite romance is Pride and Prejudice. One of my favorites is Devil in Winter by Lisa Kleypas. Ugh, tough question. I always have so many authors that I read, so many series and so many cross genres that it makes it difficult to decide. How about the last good romance I read? That was His Mistress by Christmas by Victoria Alexander. It was outstanding. Merry Christmas and thanks for the blog stop. OMG, I have so many. I've been reading romance books since I was 11. That's over 26 years! Ummm...I really enjoyed Fated by Rebecca Zanetti, but that's the one freshest in my mind. I have alot of favorite authors. But the one that comes to mind at the moment is On Dublin Street by Samantha Young. My favroite romance is Pride and Prejudice.